I have an on-again off-again relationship with my local library. That it is free and has a great range of books is a real gift, but I am lax about returning them by the due date and more than once have been scolded by the librarian or had to pay a fine. The stress has kept me away for the past few years, but I recently resolved to be a model borrower and set several reminders on my cell phone to get the books back in time. My effort was rewarded when I won the "library jackpot" and found a brand new book on the shelves that perfectly suited my reading mood. 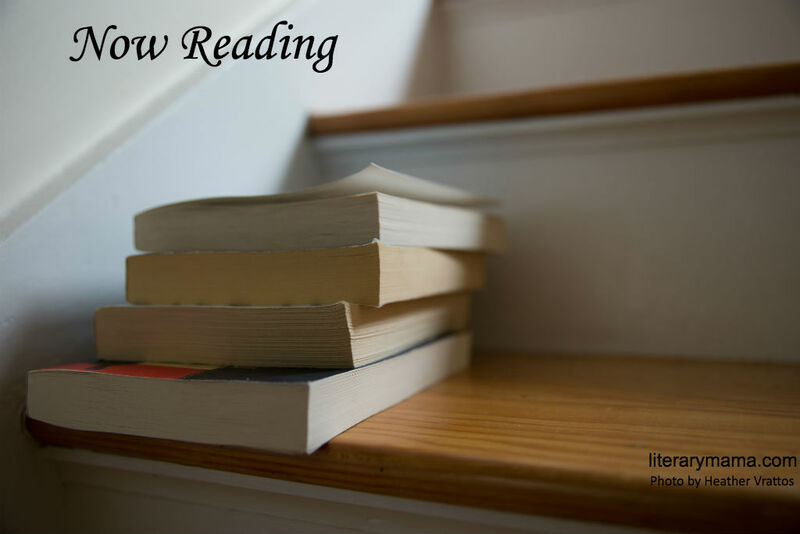 Miss You by Kate Eberlen is the first book I’ve read in a while that was hard to put down. It spans a 14-year near miss romance that holds us in suspense to the very end. We meet the main characters, Tess and Gus, as they travel in Italy before starting college back home. However fate steps in, and one of their lives takes a completely unexpected turn demanding great sacrifice, while the other follows the prescribed course, albeit under a heavy shadow. Along the way we journey through their messy lives as they experience grief, love, betrayal, and the intricacies of parenthood. 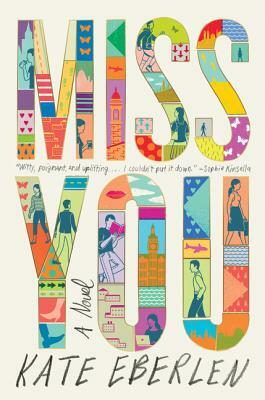 Miss You felt real, sometimes almost depressingly; this is not a feel-good romance, but more gritty and raw. Despite that, I kept reading because I wanted to see if the two could overcome life’s hurdles and perhaps, finally, meet. But you’ll have to read it for yourself to see what happens. If you're a Games of Thrones fan, Creative Nonfiction and Fiction Editorial Assistant Kim Ruff has this recommendation: "The first day of spring has just passed, yet many are still waiting for winter, which is certain to arrive on Sunday, April 14. Some might cringe at its name while others, like myself, will lock themselves in a room with a television, bottle of wine in hand, and hold their breath waiting for 'Game of Thrones' to flash across their screen for the first time in eight months. I admit, I only started watching Game of Thrones (GOT) in January. I can hear all the die-hard fans grumbling now, but it took me less than four weeks to binge watch all seven seasons and I immediately became obsessed. 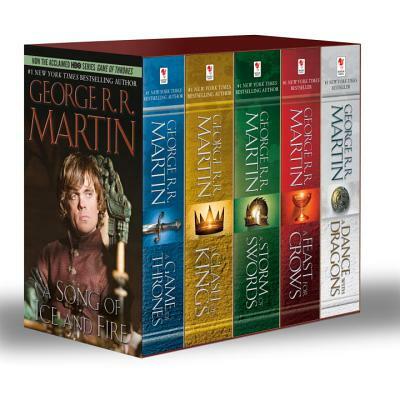 So obsessed that I am re-watching all of them and have also purchased George R. R. Martin's GOT five-book series, A Song of Ice and Fire, because one does not simply watch GOT, one must also read GOT. (I also bought a GOT trivia book, but I digress.) If you're a fan of the show and have not yet read the books, you must, even if it is after the series finale. I am 110 pages into Book 1: Game of Thrones, and at a whopping 835 pages plus an Appendix, I am enthralled with the level of detail. What I appreciate most about this first book, and assume it will continue through the rest of the series, is that readers gain insight into this fantastic tale as it was imagined in Martin's mind. That seems like an obvious statement, but Martin's GOT world is most widely known by the story that has been altered for the screen. For example, GOT fans are aware of how the King Slayer killed the Mad King and how Daenerys was first introduced to Khal Drogo, but Martin wrote these scenes differently than how they are portrayed on screen (you'll have to read the book to find out). My second appreciation is for the structure of the book. The first page after the dedication is a map of the seven kingdoms that highlights cities, towns, castles, and ruins. Although the map is featured in the introduction of the show and makes several appearances throughout, it has never been easy to follow. Similarly, through the Appendix, Martin provides a comprehensive outline about the history of each house, who the house is sworn to, and its rulers and heirs. These details provide the reader with a complete understanding of the characters and their motives. My favorite detail about Martin's structure of the book is that each chapter is titled by the name of the character Martin chose to focus on for the duration of that scene, such as 'Catelyn' or 'Eddard' or 'Bran.' Although each chapter is still told in third-person, this structure allows the reader to learn details about their history. Again, this seems like an obvious method of how readers should learn about characters in a book, but on-screen that fine, detailed focus of character development can get lost in translation. While I brace myself for that much anticipated Sunday in April, I most look forward to reading how the story unfolds from Martin's perspective." Andrea Lani, Senior Editor and Literary Reflections Editor, has been following this author for years: "I discovered Shirley Jackson's writing in high school when I borrowed my mom's yellowed, paperback copy of The Haunting of Hill House. I soon after sought out some of her creepier short stories and novels such as The Lottery and We Have Always Lived in the Castle, then forgot about her for many years until my children were young and I read with delight her wry observations on the antics of her four children in Life Among the Savages and Raising Demons. Later, in graduate school, when I was searching for short stories about mothers, written by mothers, I found Jackson to be the mother of mother protagonists, and I read every story by her that I could get my hands on. 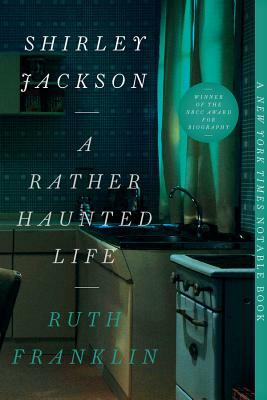 A few years have gone by since then, and I was thrilled to discover Jackson yet again, this time in the pages of Ruth Franklin's biography, Shirley Jackson: A Rather Haunted Life. Franklin delves into Jackson's childhood growing up under the thumb of a mother who was never quite satisfied with her daughter's appearance or behavior, her rocky marriage to literary critic Stanley Edgar Hyman, her cheerful disinterest in housework (at a time when women were expected to be good housewives), her loving but somewhat unconventional approach to motherhood, and her struggles with weight, anxiety, and substance use. It's a fascinating behind-the-scenes look at one writer's process, her inspiration, and her challenges. Franklin even traces Jackson's fascination with houses, which frequently play a central role in her writing, all the way back to her great-grandfather, an architect who designed opulent and somewhat odd homes in San Francisco in the 1800s. Franklin tells Jackson's life story in such a fascinating way that I tore through the book's 500 pages in two weeks. My only disappointment is that I didn't write it myself." Which authors have you followed through various volumes? We'd love to hear in the comments or tweet us @LiteraryMama. You can also follow us on Instagram @Literary_Mama and Goodreads for more recommendations.